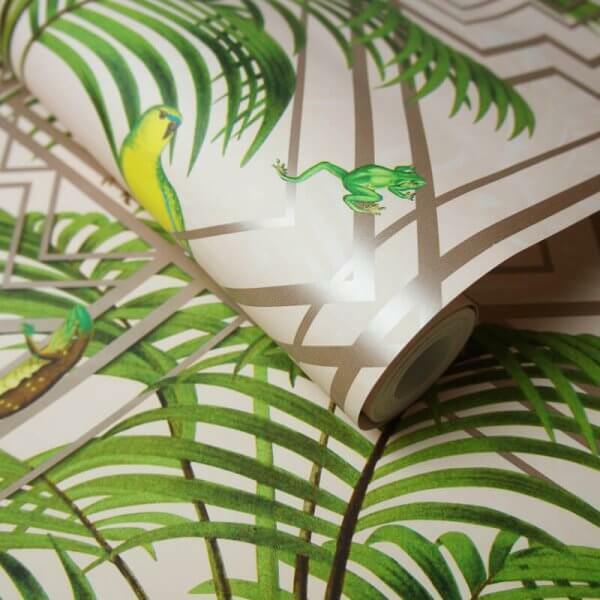 Want to bring a taste of the jungle to your modern home? 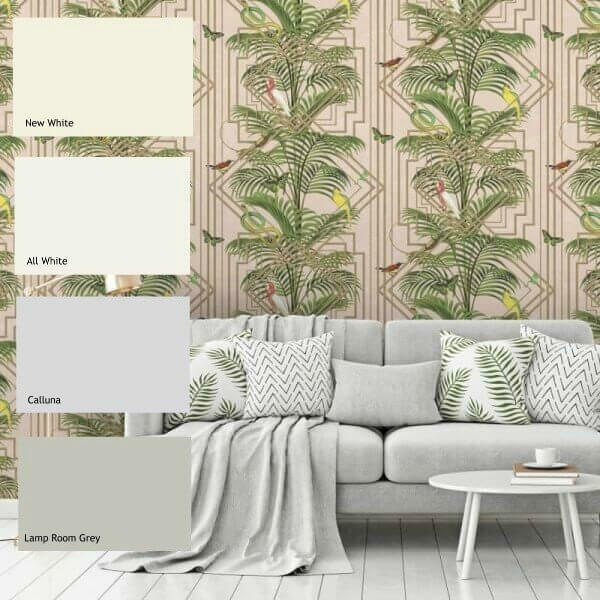 This wallpaper certainly combines tasteful modern colours and patterns with striking the botanical greenery of the jungle! 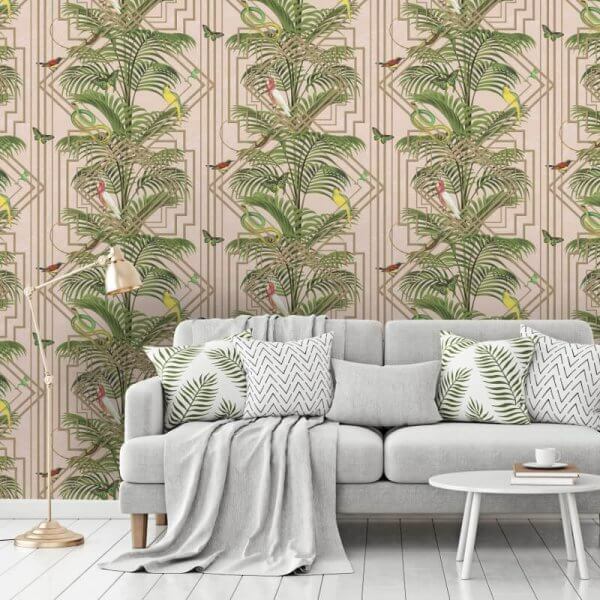 Featuring exotic botanical greenery draped over a blush pink and geometric background, this wallpaper will definitely bring a taste of the jungle to your home. With a striking and modern composition, the bold nature of this wallpaper certainly makes it the perfect pattern for feature walls!